Shtetl Skills Workshop Series: Reviving the traditions of Jewish homesteading by providing city dwellers with practical skills to live more sustainably. Topics include composting, urban permaculture, backyard chickens, and food preserving. Philly Farm Crew: Give back to your community and get your hands dirty. Volunteer with the Philly Farm Crew to work with urban farms and gardens in our initiative with Repair the World-Philly. Jews and Land Study Group: 5-part bi-weekly series exploring the history of Jews in relationship to land, from the creation stories to ancient Israel, to the diasporas, and the contemporary Jewish farming movements. Side Yard Seedlings: Garden-based early childhood program for kids ages 2-6 and their parents. 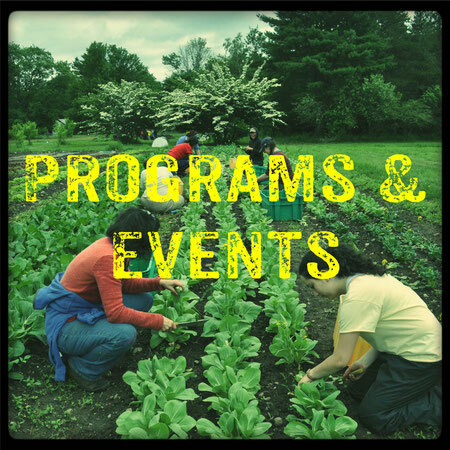 Curriculum: Food, farm, and garden-based educational resources that explore the intersections of sustainable agriculture, social justice and Jewish life. The Shmita Project: Joint venture with Hazon to explore the potential role of Shmita in today's society. Cooperative Design: Garden, farm, and land-use consulting with cultural, ecological, and social sustainability in mind. Teacher Trainings for Hebrew School, Day School and Informal Educators Specialized trainings in experiential education, farm-based pedagogy and service learning. Lectures and Scholars-in-Residence Interested in the connections between Judaism and agriculture? Consider hiring one of our educators to present on topics ranging from urban sustainability to the agricultural roots of the Jewish calendar.